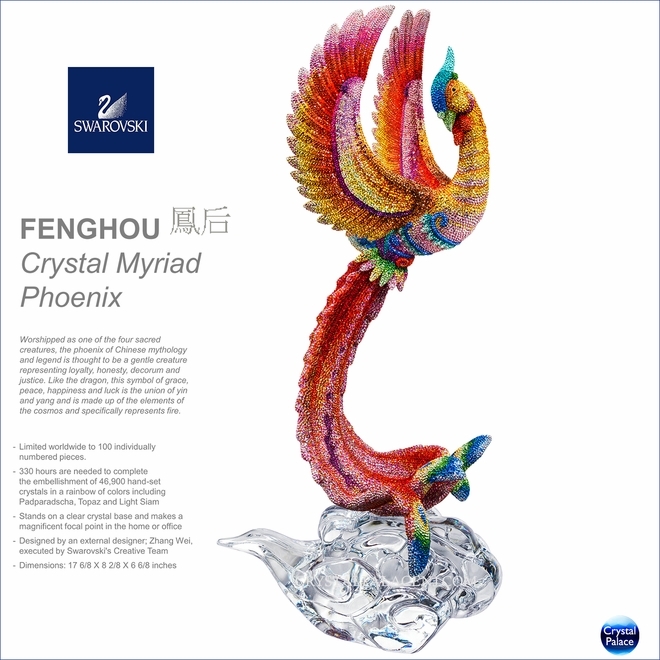 Worshipped as one of the four sacred creatures, the phoenix of Chinese mythology and legend is thought to be a gentle creature representing loyalty, honesty, decorum and justice. 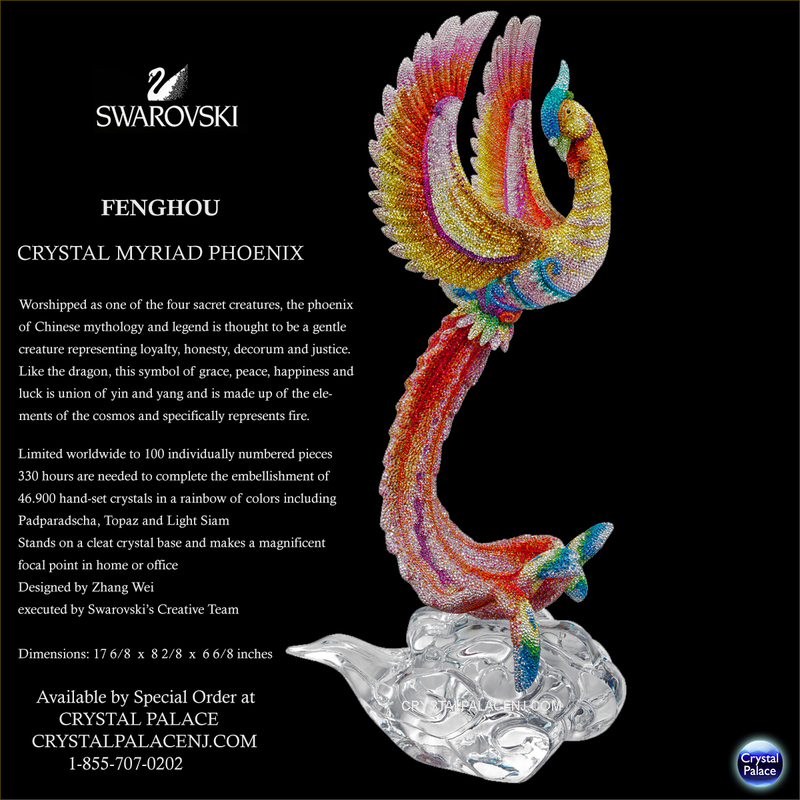 Like the dragon, this symbol of grace, peace, happiness and luck is the union of yin and yang and is made up of the elements of the cosmos and specifically represents fire. - Limited worldwide to 100 individually numbered pieces.